Molnlycke Mesalt 6" X 6" Dressing(3" X 3" Folded) 30/bx 285780 absorbs exudates, bacteria and necrotic material. 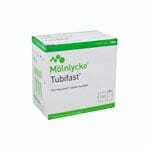 It creates a hypertonic wound environment which is unfavorable to micro-organisms. Maintains its integrity even when fully saturated. 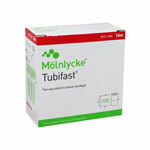 Molnlycke Mesalt Sodium Chloride Impregnated Dressing supports bacterial balance. Natural cleansing action supports healing, even in infected wounds. Mesalt is made of an absorbent, viscose/polyester nonwoven impregnated with sodium chloride. Stimulates the wound’s natural cleansing mechanism.